Traditional cultures and innovative industries seamlessly coexist in Tainan. Since 2016, Tainan City Government mobilizes local industries and their expertise in Innovation and Creativity Competition. Through mentorship and contest, it includes feature industries and accommodates innovative teams in Tainan. This process enriches innovation dynamics in Tainan. 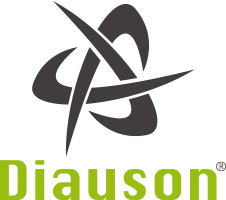 Diauson is originated from Department of Aeronautics and Astronautics, NCKU. With more than ten years of researches and system planning experiences, it now focuses on horizontal axis and smaller (200W to 1KW) wind power studies, in order to integrate renewable energy into public life. Gul Chung Xuan is based on innovative bio-functional materials. It utilizes BX-10 extracts and natural materials to replace chemical preservatives in cleaning products. It plans to expand to food and medical products in future. Most members come from NCKU. It develops toxic-free nano materials to fill in portable spray bottles. Sprays will enhance filtering effects to conveniently improve air quality. It works closely with Meet Tec. Blink Brake provides the safest biking brake system to reduce accidents. Meyan Studio is committed to industry transformation via innovative design and marketing, and it's building comprehensive commercialization process from scratch for a better world. TSIC is an innovative technology company for business solutions and project development. It has developed new technologies to replace traditional bearing diagnosis. With cloud computing, customers are able to monitor bearing damages, in order to minimize business losses. Most members in Think J Innovation Studio graduate from. It has developed portable, inflatable and breathable baby beds and mattresses, and will continue to develop innovative medical products. We welcome collaborations or commissions for a better and innovative future. Kabua Farm is to the third generation of agriculture products Tainan local industry.Their fruits and vegetables are planted in accordance with the laws of natural ecology.Not only to maintain soil and ecosystems,but also take into account human health and food safety.They hope to make the brand such as the spirit of enthusiasm continue to bloom like flowers blooming like a piece of brocade.